Day 3 of NeoCreation Week has begun. Today, they are asking you to come up with an entirely new Neopet! Again, you will have until midnight NST tonight to enter for a chance to win Comic Con codes. Today's hashtags are #NeoCreationWeek and #MyNeopet. How will your Neopet look like? Will you give them 3 legs, long flowing hair and robotic legs? Include an image so we can see your true vision and give your species a name! 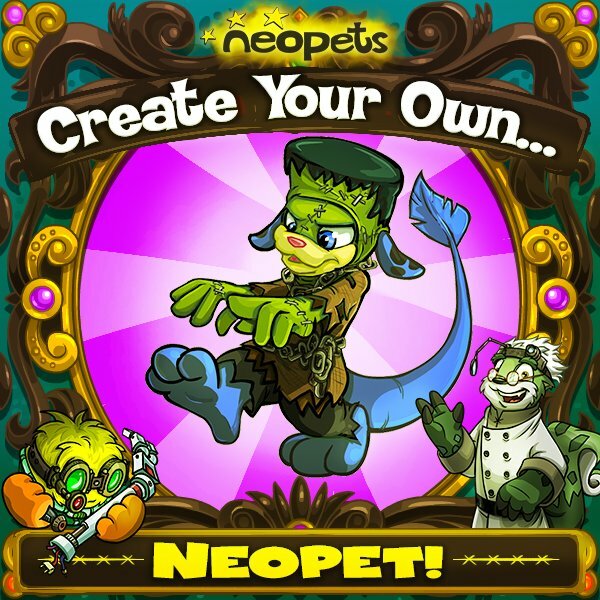 Use the hashtags #NeoCreationWeek & #MyNeopet, and submit before tonight 11:59 PM PST!